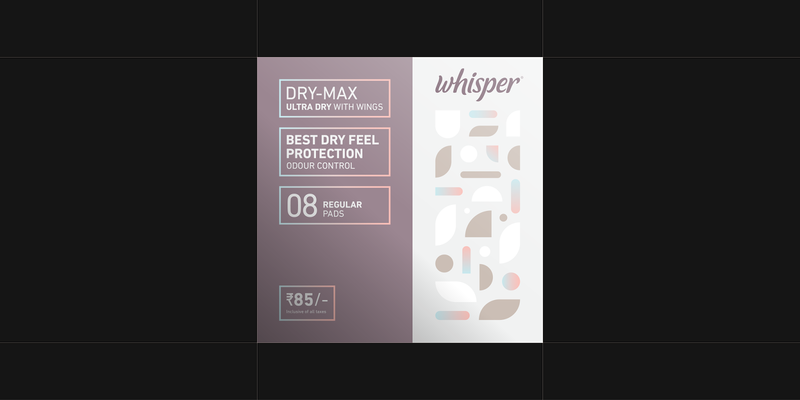 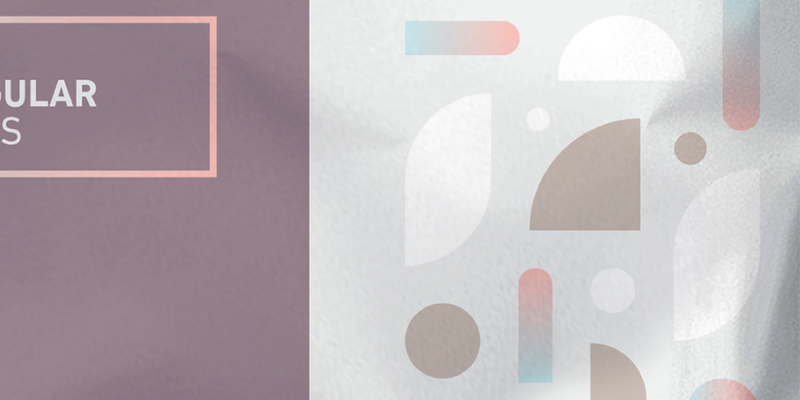 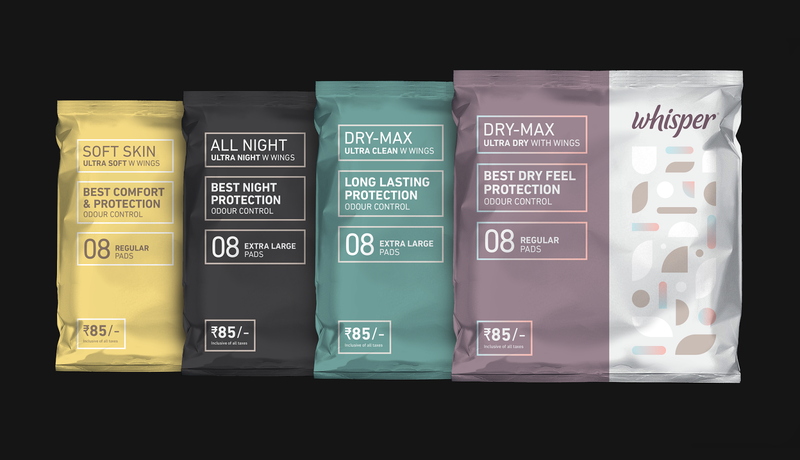 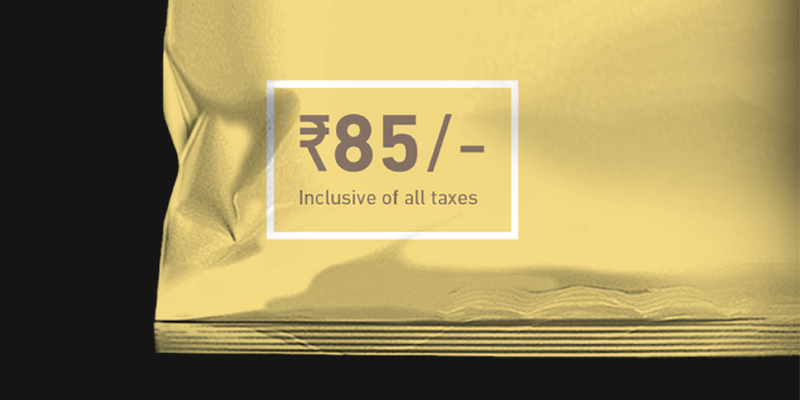 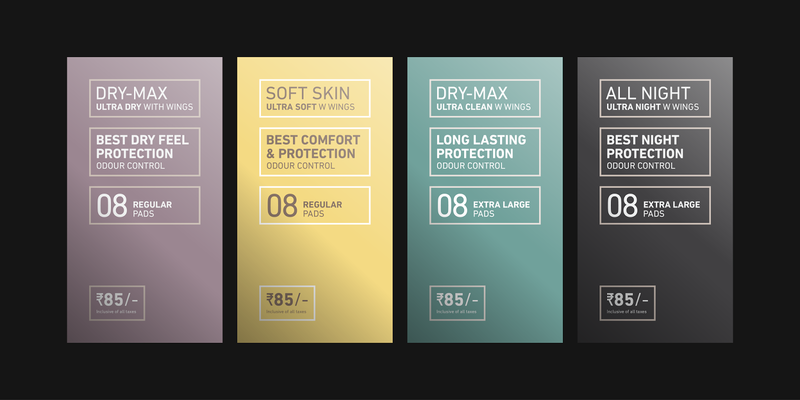 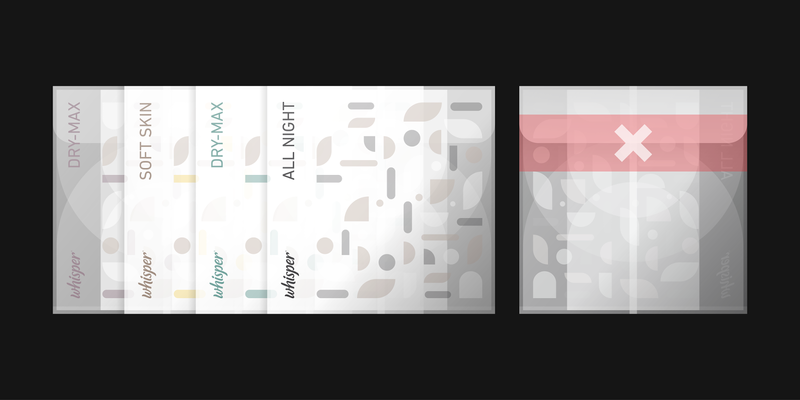 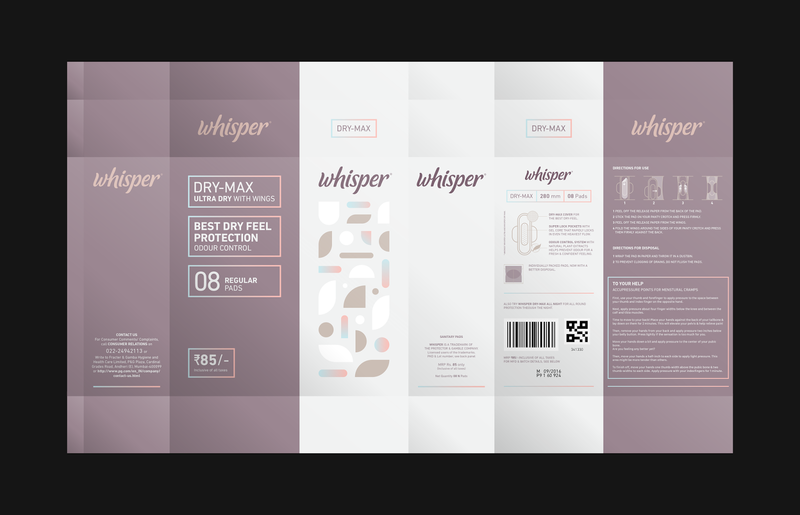 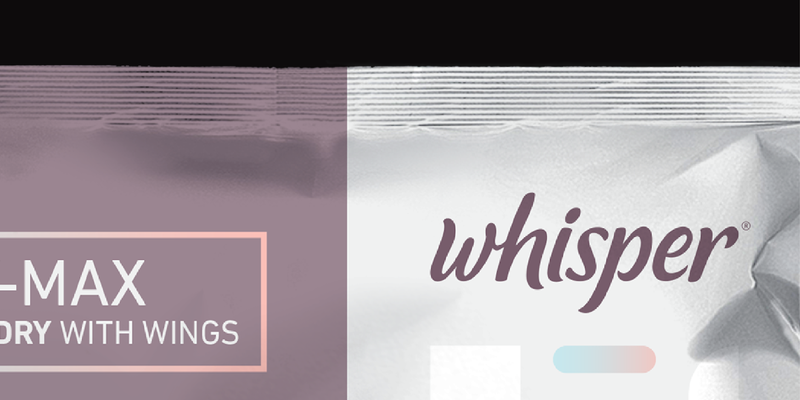 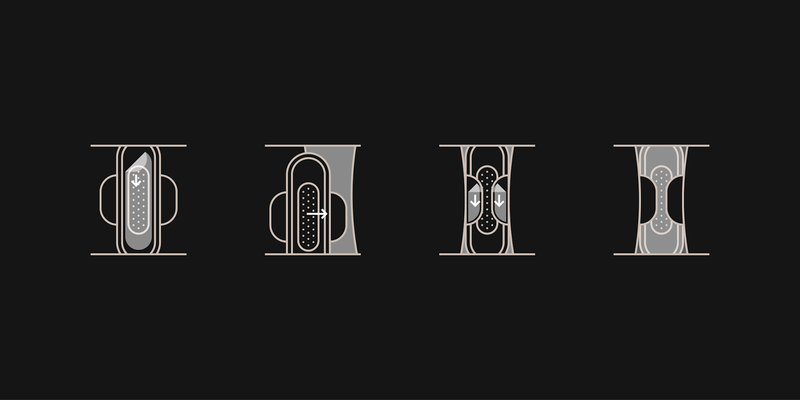 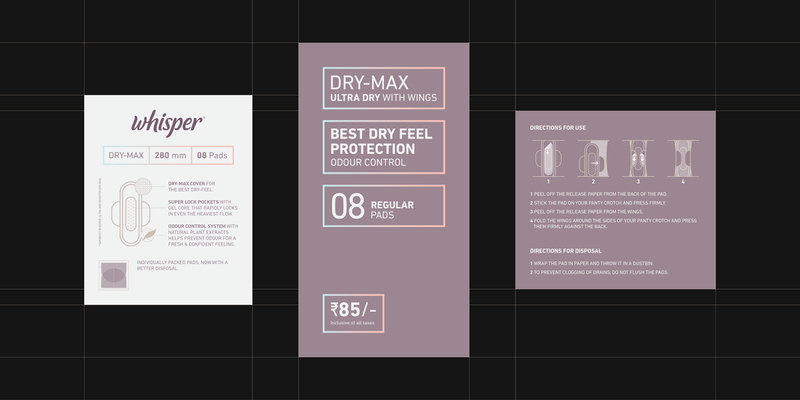 *I have redesigned the packaging for an existing brand called whisper. 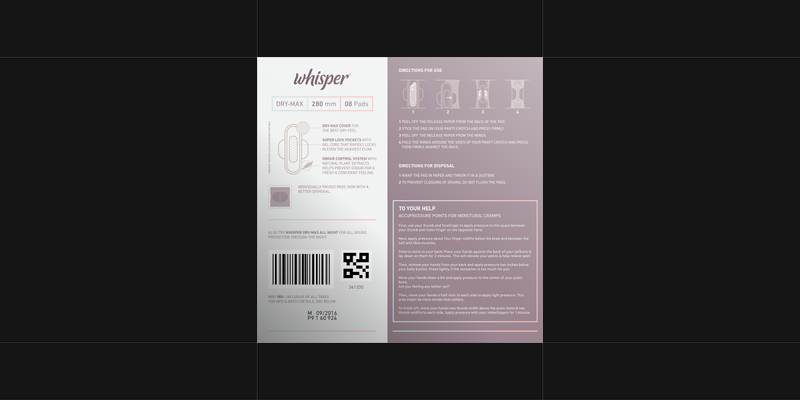 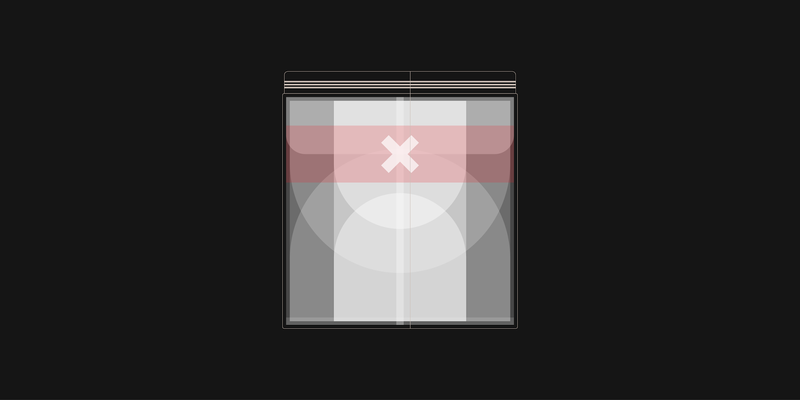 This packaging is hypothetical. 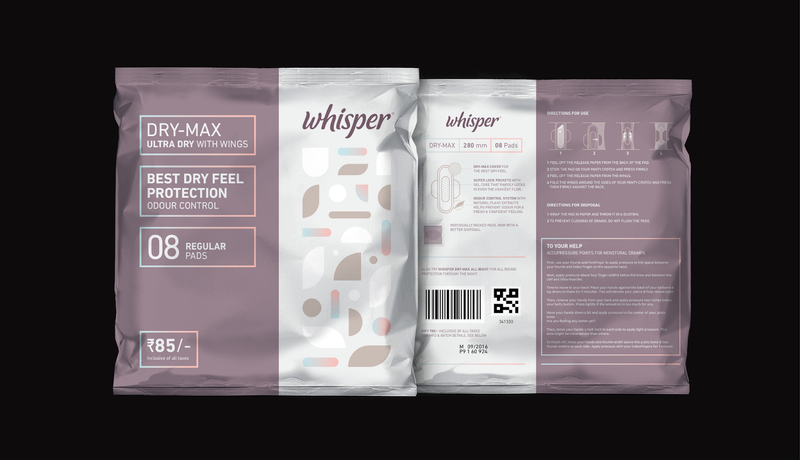 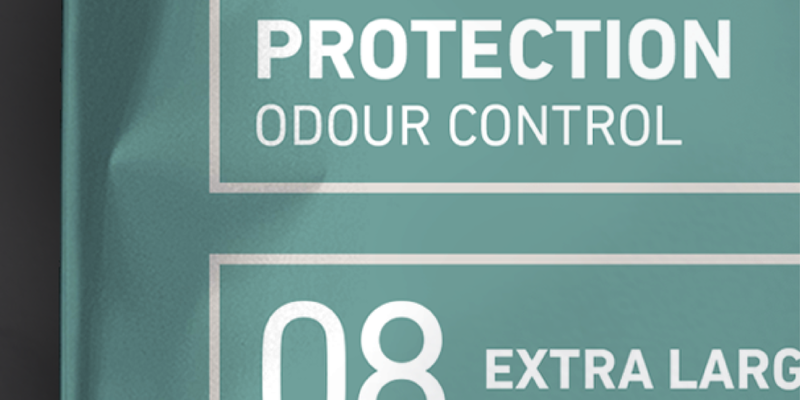 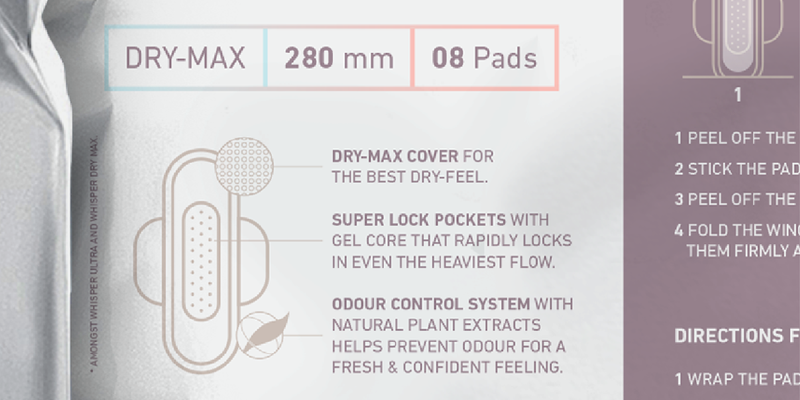 The redesigned packaging solves the current problem providing a better disposal of a sanitary napkin after the use and sealing of the polybag (internal/ secondary packaging) and better graphics/ visuals (using the available space efficiently by describing easy accu-pressure exercises that one can do during periods) and a zip lock system for the main packet maintaining its value after the first use (external/ primary packaging).